The rapid technological development in recent years suggests that the future belongs to the present; artificial intelligence and virtual reality are being intensively practiced, and it is just a matter of time when a fully functional cyborg will appear. 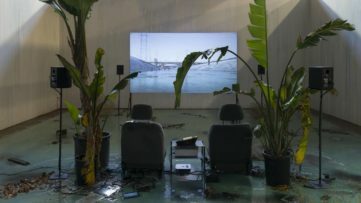 It is not strange that artists are exploring the domains of technology and are producing hybrid works which deal with the social and political implications of technological innovations. 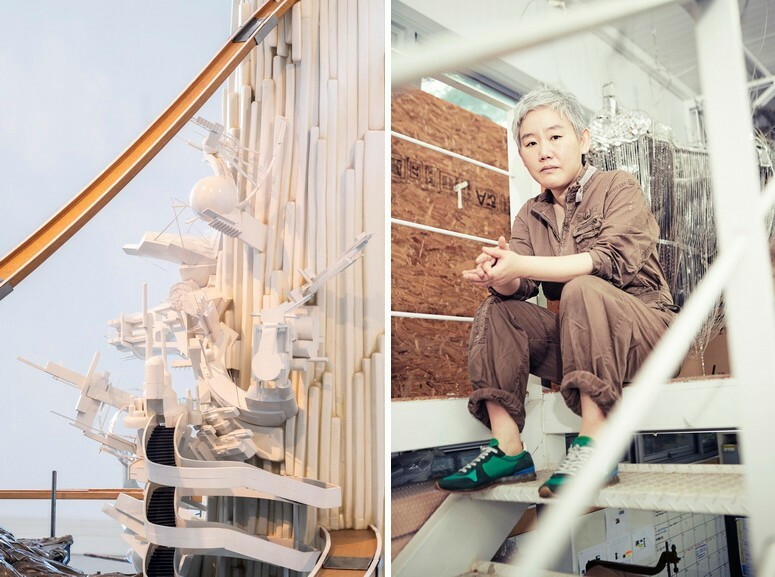 Lee Bul is among the most important artists from Korea and her entire practice is based exactly on these explorations. 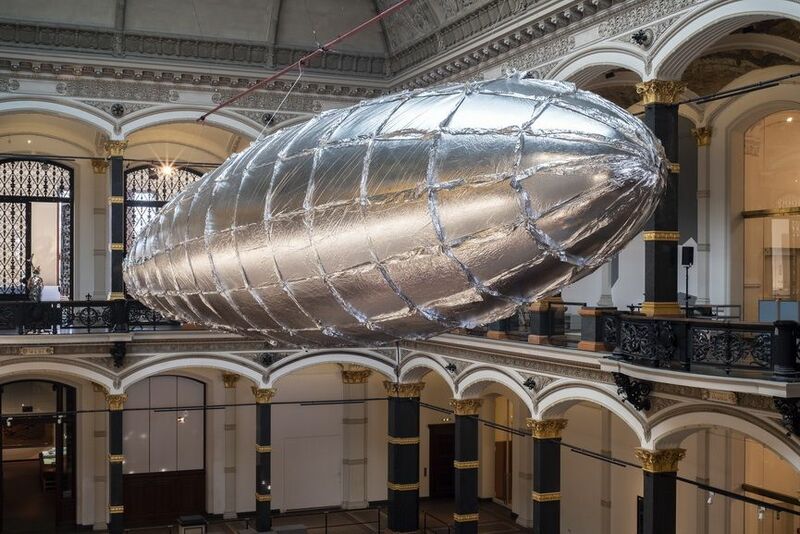 She has been present on the local and international scene for more than three decades, so Gropius Bau decided to reevaluate her provocative practice in a form of the artist’s first-ever retrospective in Germany symbolically titled Crash. Left: Lee Bul – Mon grand récit – Weep into stones…, 2005 / Right: Portrait of Lee Bul. Photo: Kim Jae Won. Courtesy of Studio Lee Bul. Lee Bul was born in South Korea in 1964, and was raised in a family of political activists, an important fact for a better understanding of her own critically charged agenda. She is known for creating peculiar and slightly surreal works by encompassing both performance and installation art. She carefully explores longings, dreams, and utopias based on a range of references, from futurist theories and science fiction to bio-engineering and visionary architecture. In general, Lee Bul is constantly articulating the intersections of historical and political discourses, the effects of globalization and technological progress, as well as human attempts to transcend themselves in order to reach perfection. 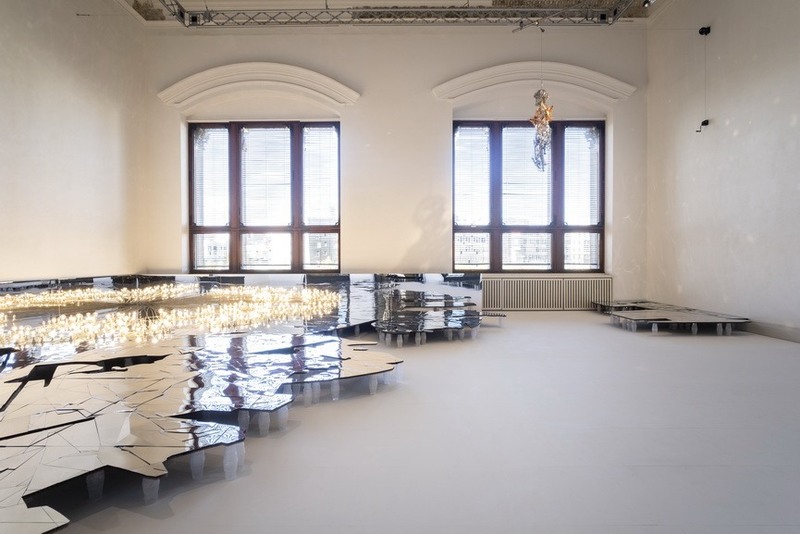 The selection of works at Gropius Bau covers a number of installations or rather unusual stage sets made of materials such as mother-of-pearl, crystals, leather or velvet. All of them reveal the artist’s effort in constructing imaginative topographies expressed in a humorous manner. 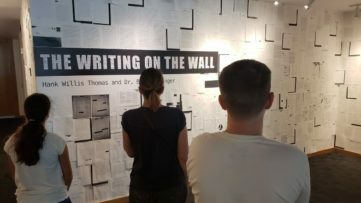 The exhibition is presented around the thematic focal points of her work, and each segment chronologically arranged so the audience can follow the development of her ideas. The documentation from Bul’s early performances, sculptural works from series such as Monster and Cyborg, key pieces from utopia-inspired sculptures, along with recent immersive installations, drawings and paintings are on display. 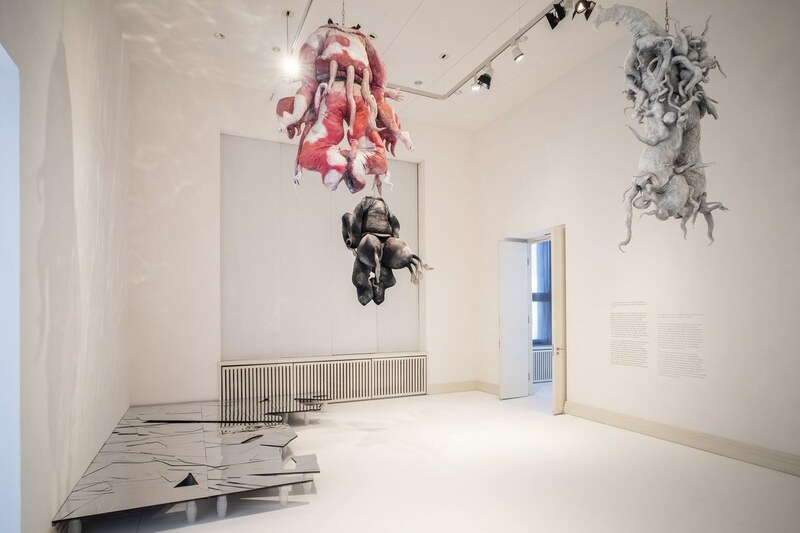 The highlight of the exhibition is definitely Lee Bul’s latest artwork titled Scale of Tongue. 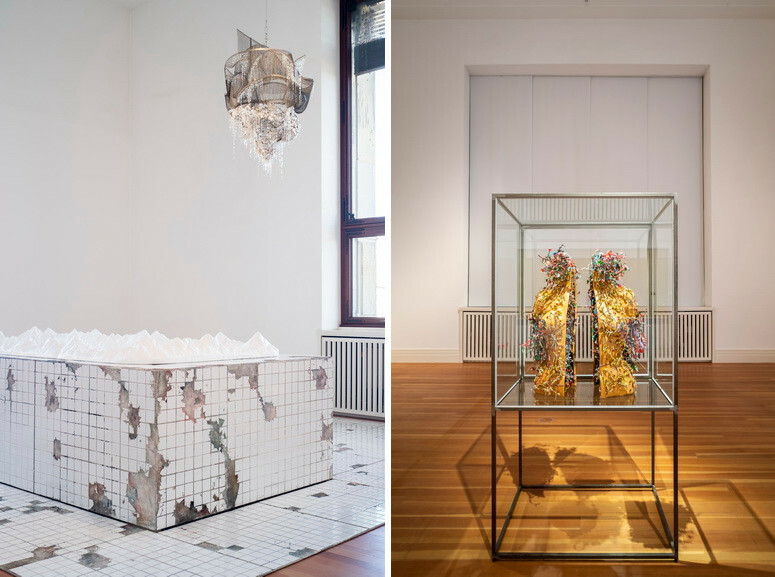 The decision to showcase the works of Lee Bul is based on the fact that her works are in sync with contemporaneity; the freshness of her innovative approach makes really relevant in regards to various social and political debates centered on technology. 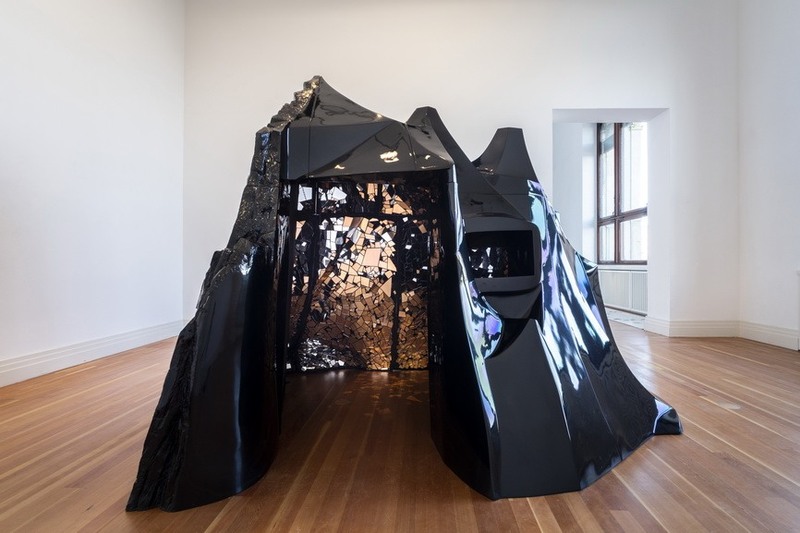 Crash is curated by Stephanie Rosenthal, as the first exhibition she has curated as the new director of the Gropius Bau, and is organized in collaboration with the Hayward Gallery from London. 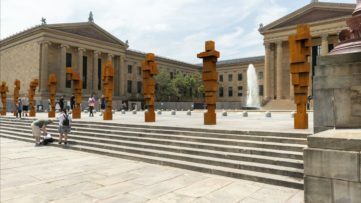 It will be on display at the Gropius Bau in Berlin until 13 January 2019. 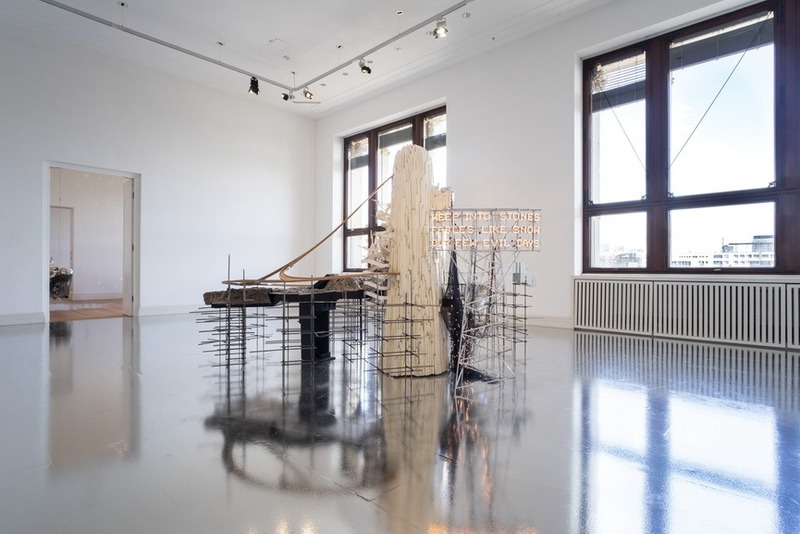 Featured image: Lee Bul – Untitled (Cravings Red), 2011, Untitled (Cravings Grey), 2011, Untitled (Cravings Black), 2011 (reconstruction of 1988 work); Lee Bul – Mon grand récit- Weep into stones…, 2005; Civitas Solis II, 2014, and Infinite Starburst of Your Cold Dark Eyes, 2009; Willing To Be Vulnerable – Metalized Balloon, 2015–2016. All images courtesy of the artist and the Gropius Bau. Photos: Mathias Völzke.